6. The First Patron of the Sudan Government. by Richard Andrew Lobban Jr. This book provides an overview of contemporary issues in Sudan, Africa's largest nation, examining the country's history and current scene to help readers develop a deeper understanding of how much Sudan matters in today's world. With deep connections to the Sahel and savanna to the west, the African world to the south, the Horn of Africa to the east, and the Middle East to the north, Sudan is important strategically, legally, geopolitically, and militarily-but too often overlooked, or underestimated. Sudan, the country of residence of Osama bin Laden for six years, has played, and will continue to play, a significant role in worldwide security matters. An analysis of the causes, resolutions, and implications of the ongoing Sudanese conflicts (including the genocide in Darfur), this book is essential reading for policymakers, researchers, and students alike. 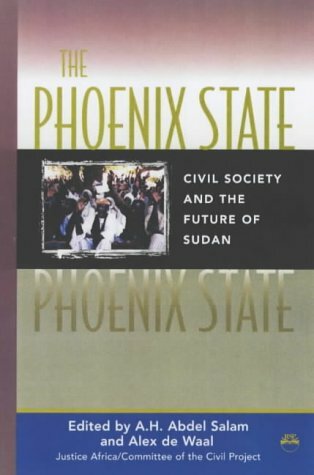 This book considers Sudan's historical foundations, examining how the agendas of countries to the south, east, and north have influenced Sudan's people and government. 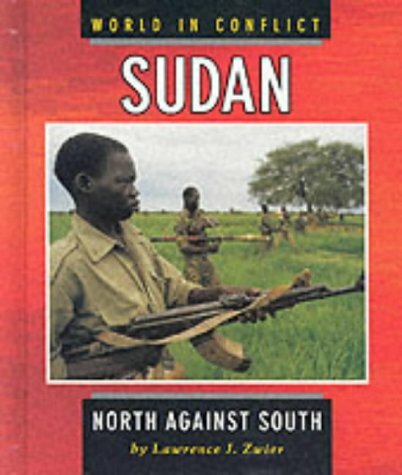 The author also explains the origins and context of the Darfur conflict, laying out possible steps toward a resolution. Questions concerning Sudanese oil-where is it? how much is there? 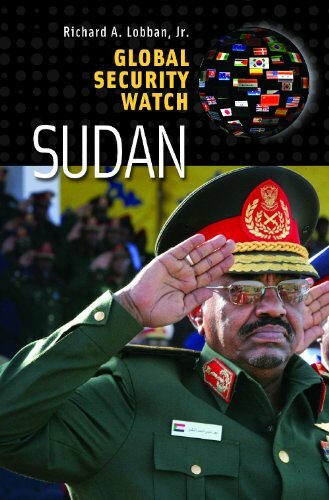 to whom does it belong?-help focus any discussion of Sudan's emerging importance in the contemporary world. Other issues-such as the influence of Islamism or the Sudanese activities of the Arab League, China, or the African Union-underline the uncertainties that confront the people of Sudan today. Over the past two decades, the situation in Africa’s largest country, Sudan, has progressively deteriorated: the country is in second position on the Failed States Index, a war in Darfur has claimed hundreds of thousands of deaths, President Bashir has been indicted by the International Criminal Court, a forthcoming referendum on independence for Southern Sudan threatens to split the country violently apart. In this fascinating and immensely readable book, the Africa editor of the Economist gives an absorbing account of Sudan’s descent into failure and what some have called genocide. Drawing on interviews with many of the main players, Richard Cockett explains how and why Sudan has disintegrated, looking in particular at the country’s complex relationship with the wider world. 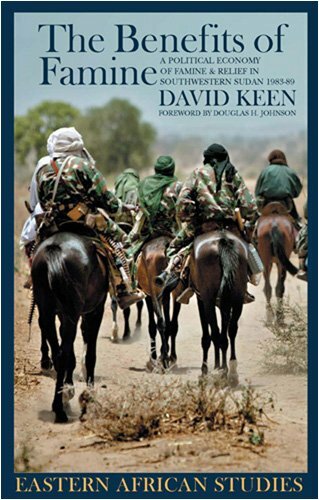 He shows how the United States and Britain were initially complicit in Darfurbut also how a broad coalition of human-rights activists, right-wing Christians, and opponents of slavery succeeded in bringing the issues to prominence in the United States and creating an impetus for change at the highest level. RC's dividend from his 5 years as Africa editor of 'The Economist' is an ambitious, challenging, well-structured and superbly written book about "what the hell went wrong with Sudan since independence". In 1956, its future looked promising, thanks to almost six decades of careful and intelligent institution building by a numerically small, but superbly-educated British caste of high-minded administrators. From Khartoum, and with minimal budgets, they made key decisions in transport (railways, river transport) and economic investment (e.g. 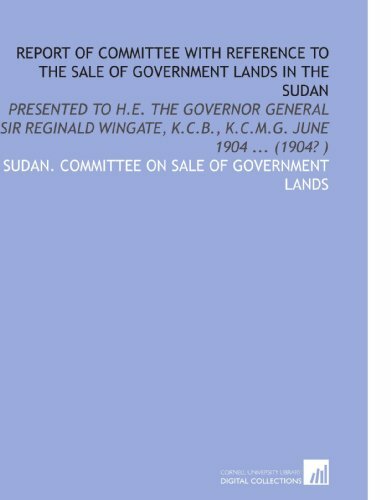 the Gezira scheme), which at independence, had become clearly defined centres of activity, condemning the rest of Sudan to marginality, except for the population living along the Nile north of Khartoum, who overwhelmingly formed the local supervisory staff of these ventures. Until 1956, the northern and southern halves of Sudan had long been kept apart and were ill-prepared to live with one another in the new, post-colonial era. War erupted in 1955 and continued until 1972. 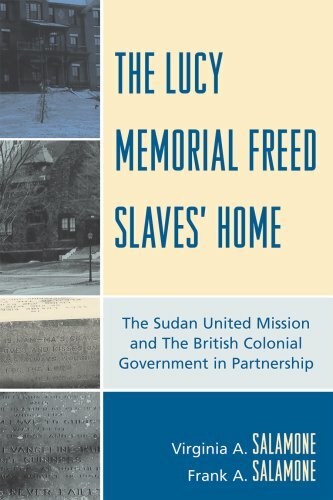 The (post-) colonial heritage has always been criticized and used as an excuse for a lot of the subsequent policy mistakes and mayhem, time and again, by Sudan's rulers and its Western-educated academics. They surely have a point, or some point. 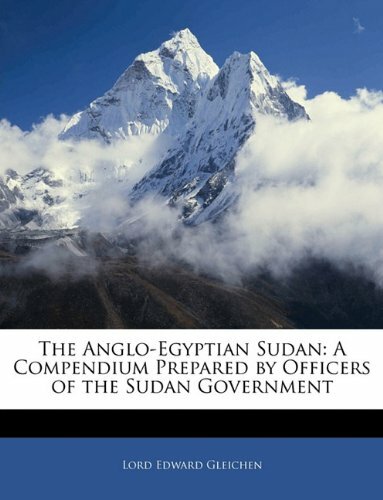 RC has written a fast-paced book based on interviews with informants in the US, UK, Kenya and all over Sudan, and has relied on only a selection of the written sources available. He has avoided too much detail and refused to be drawn into academic disputes. Good recent accounts exist about the wars in Darfur and the South. 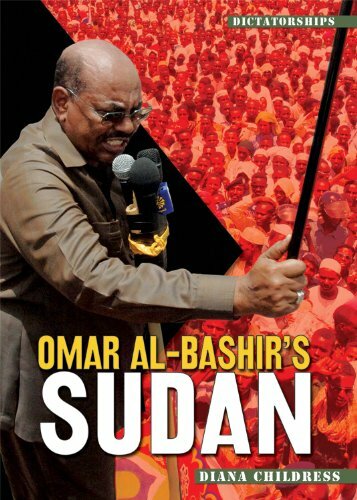 This is the first book investigating Sudan's internal conflicts in its Southern, Western and Eastern regions at a time when the regime was (and perhaps still is) under suspicion of supporting worldwide terrorism. (1) How the evil, shifty and callous manipulator Hassan El Turabi connived to provide a refuge and training bases for terrorists, how he destroyed the education system, strangled the educated middle class, and bewitched the minds of numerous non-Arab people with promises of respect. Instead, they received bombs and bullets. Turabi did so, carefully, in non-executive roles and cannot be put on trial for the carnage and mayhem he caused. (3) How the absolute determination to stay in power of three tribes accounting for 6% of the population, continues to shape Sudan's fate. Writing in April 2010, RC is pessimistic. 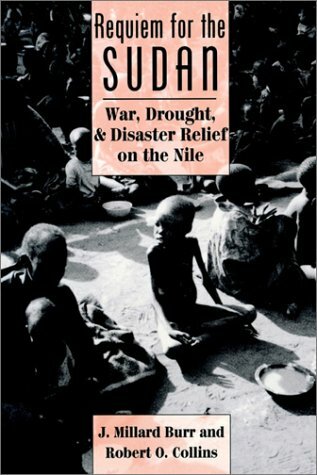 His account of the objectives of Western governments, US intelligence, UN bodies and NGOs providing life-saving humanitarian aid, shows deep gaps in terms of desired outcomes, which are happily, exultantly, in a back-slapping mode, exploited by the Sudan government and its very effective corps of diplomats. The "Save Darfur Coalition" is shown to have frustrated other US objectives and as having had no impact on the lives of 3 million IDPs. Sadly, the semi-autonomous Southern region is shown by RC to be ruled by self-serving, ex-military incompetents from a narrow tribal base, who try to do things in the Khartoum manner, the only model they are aware of. In 2009, some 2.500 people were killed in tribal fights, more than in Darfur that year. And both the North and the South are re-arming heavily. Taxpayers worldwide will soon be paying for the humanitarian aid needed to provide succour to victims of the next prolonged bout of violence to defend two regimes with little legitimacy within one state. What angers this reviewer is the plight and plain suffering of NGOs and their staff determined to provide help, clean up after the GOS strikes against its own citizens again and again. But, as RC argues, the concept of "humanitarianism" is also in need of revision. Too many ugly, vicious regimes are kept afloat thanks to NGOs providing key services. 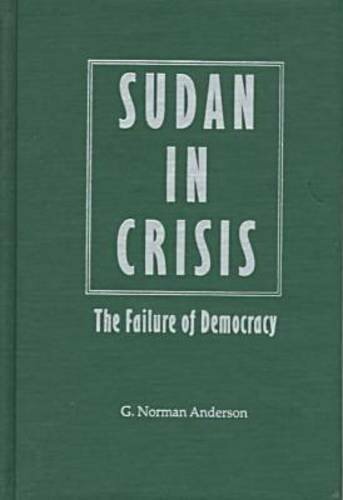 RC has written a deep book, a rich, well-argued diagnosis of Sudan's endless problems. A rare lapse of judgement is his calling the SPLA a peasant army. WFP-army would be more appropriate. His polite form of speech always takes precedence over feelings of pure disgust and anger. Required reading for diplomats and persons organising their training, and for any other institution intent on making an impact in Sudan with funds or personnel. A former U.S. ambassador provides the most authoritative account of the twists and turns of Sudan's interactions with America, its devastating civil war, and its close connections to global terrorism. Donald Petterson was ambassador to Sudan in the years between 1992 and 1995.His account of his frustrations in negotiating for better relations with Omar al-Bashir and Hassan al-Turabi gives a personal witness to the problems of radical Islamism that afflict Sudan's Government.He also shows how southern leaders John Garang and Riek Machar stubbornly reject the north.In short - those who read this should be very thankful for the separation of church and state.Inserting religion into the state level didn't work for Christianity - American's Founding Father's figured that out - and it will not work for Islam either.Petterson, though writing in a diplomatic fashion throughout, candidly admits that fundamentalism (of any type) in government is a recipe for bad politics.Read this book, and it will help you appreciate that.It will also give you some vivid background for the conflict in Sudan.It is a very readable book, but it written before the Darfur conflict blew up, so in that sense is a bit dated.The insights it has into the Sudan are not, however. Donald Petterson was a diplomat for the United States during most of the 1990's.He discusses from a diplomat's point of view the impasse that occured between the United States and the Khartoum governments.Petterson saw things get worse but could not stop the drift in differences.He explains that Sudanese people are quite friendly, but political, religious and regional problems run deep and occured during British rule also.A good book to get a perspective on Sudan. Donald Petterson, former U.S.Ambassador to Sudan, has written an unflinching account of modern Sudan. It is the thoroughly human story of a man and his family living and working in Khartoum in the 1990's, the hey-day of Islamic terrorism and fundamentalist belief. Petterson, a veteran Foreign Service Officer in Africa describes the day-to-day events in the abysmally hot and dusty,strife-ridden capital of Khartoum. An exciting place for any FSO, Khartoum was above all else a very dangerous city, as Petterson points out. Filled with Islamic radicals, the hatred for all things Western was very evident to this American. While the Author never treads strongly into the deep historical factors surrounding Sudan's cultural probems today, INSIDE SUDAN: POLITICAL ISLAM, CONFLICT, AND CATASTROPHE neveretheless is an excellent read for everyone wishing an up-front account of what it feels like to be in a land where one is always on the cusp of revolution. 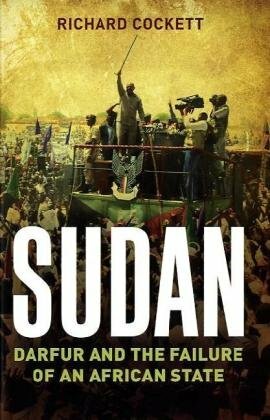 The book grips the reader personally and emotionally and makes the problems of Sudan all the more real. Readers may also wish to turn to my new book, JIHAD: THE MAHDI REBELLION IN THE SUDAN. I have encapsulated one brief period of Sudanese history - the Mahdi Rebellion of 1881-1885. I hope to show the effects of Western Imperialism upon both Sudanese nationalism and culture. 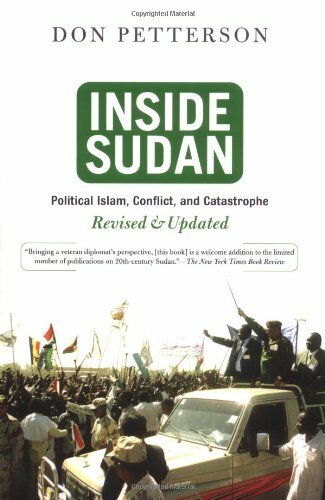 The title of this book, Inside Sudan: Political Islam, Conflict and Catastrophe, implies that the work will addressteh history of the conflict in the sudan as well as some discussion of the workings of Islam within the country's politics.However, this is not the case.The author, a former ambassodor to the Sudan, seems content to merely catalogue the meetings he had with Sudanese officials.Thus the book only addresses the time form 1992-95.Furthermore, the writing reads like a travel log and is rather uninteresting.The book claism to be an acoount of US-Sudanese relations, but even in this area it falls short.There is very little critical analysis and the work is littered with unimportant personal imformation.The book does give a look at life in a Us Embassy but this hardly makes up for its other shortcomings. 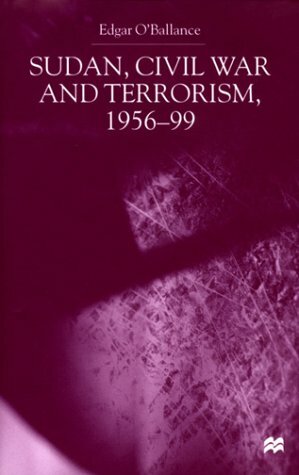 One good aspect of the work is Petterson's criticism of the media.For far too long has this atrocity been largely ignored by such agencies as CNN.Likewise, he also gives the reader some insight into the workings of Sudanese NGO's whose primary objective is not to relieve suffereing but rather to spread Islamic fundamentalism.Overall there are better books on the Sudan. The Sudan is torn by ethnic and religious conflict, centered on the struggle over the definition of the Sudanese nation-state. 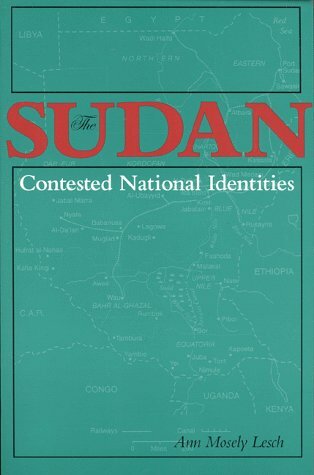 Is the Sudan primarily Arab or African by culture and ethnicity? Should the political system privilege Islamic legal codes or accord equal citizenship to persons of all faiths? Ann Mosely Lesch provides a comprehensive and even-handed analysis of the unresolved struggle for a stable political system and a unified national identity. The conflict in Darfur had a precursor in Sudan’s famines of the 1980s and 1990s. David Keen’s The Benefits of Famine presents a new and chilling interpretation of the causes of war-induced famine. Now in paperback for the first time with a new and updated introduction by the author, The Benefits of Famine gives depth to an understanding of the evolution of the Darfur crisis. Sudan, the largest country in Africa, became independent in 1956, to find it had a foot in both Arab Muslim and the Black African camps. Almost immediately a 16-year civil war began, ending with autonomy for the South, which devolved into chaos. A second southern revolution broke out in 1983 when the government introduced the Sharia law, which is still in progress, the impasse halted only by an uneasy cease-fire. Central governments have been mainly military dictatorships, plagued by plots, quarrels with adjacent countries, and involvement in international terrorism.